In a large mixing bowl, combine flour, cornmeal, paprika, cayenne, garlic salt and lemon pepper. Stir in buttermilk, adding more if the batter isn’t wet enough to stick to okra. In a large skillet, heat canola oil over medium high heat. 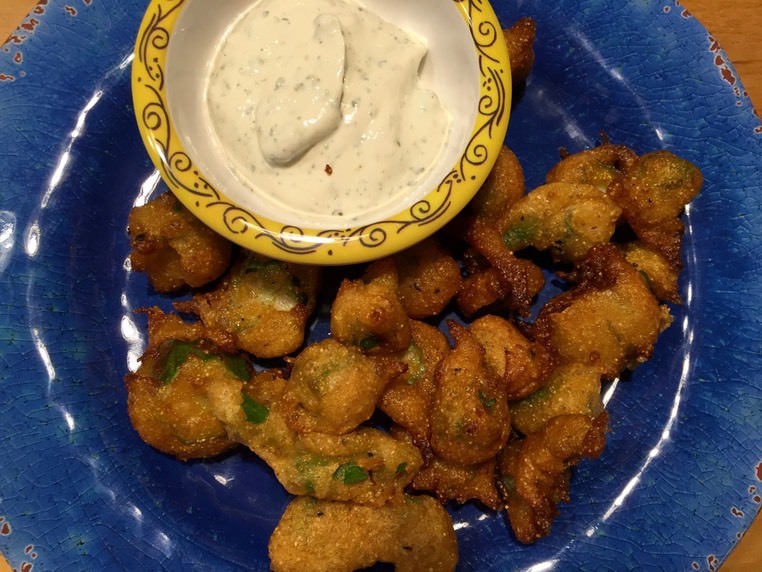 Fry okra in small batches until golden brown. Remove and place on newspaper and paper towels to drain oil. Mix ranch dip, sour cream and Tabasco to taste. Add in diced jalapeño and enjoy.